Discussion in 'Amateur Photographer Of the Year (APOY)' started by Nigel_Atherton, Mar 11, 2018. 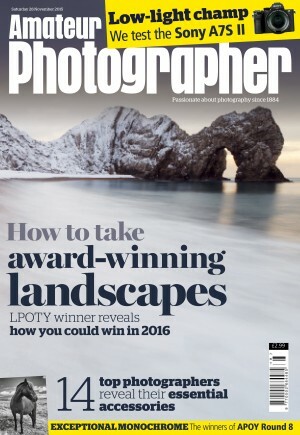 You will be pleased (I hope) to learn that we have just launched this year's Amateur Photographer of the Year competition. Once again it is sponsored by Sigma Imaging and as with last year we are running it on the Photocrowd platform. • Only AP readers get a free entry. This will be via a voucher code which will be printed every week in AP. It can only be used once per round and the code will change for each round. Anyone entering through the Photocrowd platform has to pay to enter, though of course they too can get a code if they buy a copy of AP. • Up to three additional entries per round can be purchased but unlike last year only the highest scoring entry per round will be counted. • The threshold from what is considered a professional photographer has been reduced back to 10% as it was before, and made more prominent in the rules. EightBitTony and daft_biker like this. I'm thinking of entering this year. Can you confirm that pictures entered should be take during the time frame of the round? But they can't bind AP ex post facto. You will be pleased (I hope) to learn that we have just launched this year's Amateur Photographer of the Year competition. . . .
We are. But you really should be allowed some time off at the week-ends. Speak to the Editor about it. He's a reasonable man, if overworked. Ha ha, thanks Roger. I'll have a word with him. I can confirm that entries do not have to have been taken during the period of the round, or even this year. Is there any way to submit a picture WITHOUT being forced to use a social media website that I do not trust with my personal data? Perhaps the email to AP option should still be available, as long as the entry code (or subscriber number?) is quoted. Nope. This question was well rehearsed last year. But what about 'forced to use a social media website that I do not trust with my personal data' in the Trump era? That was the thrust of it. Basically all the back-office work is avoided by using this platform and that advantage is overwhelming, so that's the way it is. They changed the rules this year so the end winner will have to demonstrate skill in all the categories rather than be very good at one or two subjects. I couldnt have put it better myself. We no longer have the resources to go through dozens of emails and do not have any dedicated admin support. However, even if we DID have such support, the new GDPR data protection laws coming into force in May would make this impossible. Email is about the worst and most unsecure means of storing people's data and there will be strict new rules about how personal data must be kept and for how long. The penalties for a breach of this law by any company, or someone within it forgetting to delete any emails containing customer data, are eye watering: £17 million, or 4% of global turnover, whichever is higher. (You can Google it). You may be suspicious of websites but the data is collected and stored in a very safe and secure way, and will soon be even more so. Every company in the UK that handles data is currently undergoing frantic risk assessments and introducing new processes to ensure they don't fall foul. Photocrowd is a not really a social media website anyway. It is a competitions website. People don't go on there to talk about politics or their favourite brand of cereal. It isn't facebook. Isn't that what Zuckerberg claims for Facebook? Facebook is worth taking the trouble to hack because of the amount of personal information that people share on there that's valuable to advertisers/political groups etc. Photocrowd is purely a photo competition website and the information stored there is much the same as what the AP site would ask for if we had the technology to host it ourselves. That data is only shared with third parties if users tick the box allowing it, and if they do, all that will happen is that they might receive marketing messages by (mostly) photographic companies considered relevant. Some people would consider that useful, and even if they don't it's hardly a traumatic experience to receive it. If people are that worried about the internet they probably shouldn't use it. I was a regular APOY entrant, entering but a single image for each category, and, thouigh neveer a winner, always enjoyed the involvement, but I have to confess that since Photocrowd has been 'hooked-up, I simply lost interest, and like Lynn, simply don't have the trust to use it's facilities. I clicked hte link and now feel utterly confused. If you have just launched APOY 18, why does it apparently start with round 8? Why is the table showing the start/open/end/result dates start with the last round and work backwards? What? Is? That? About? He just launched it back in March - for some reason, Mike has Phiigied the thread. Ah! I thought it was a funny time to start a 2018 competition.